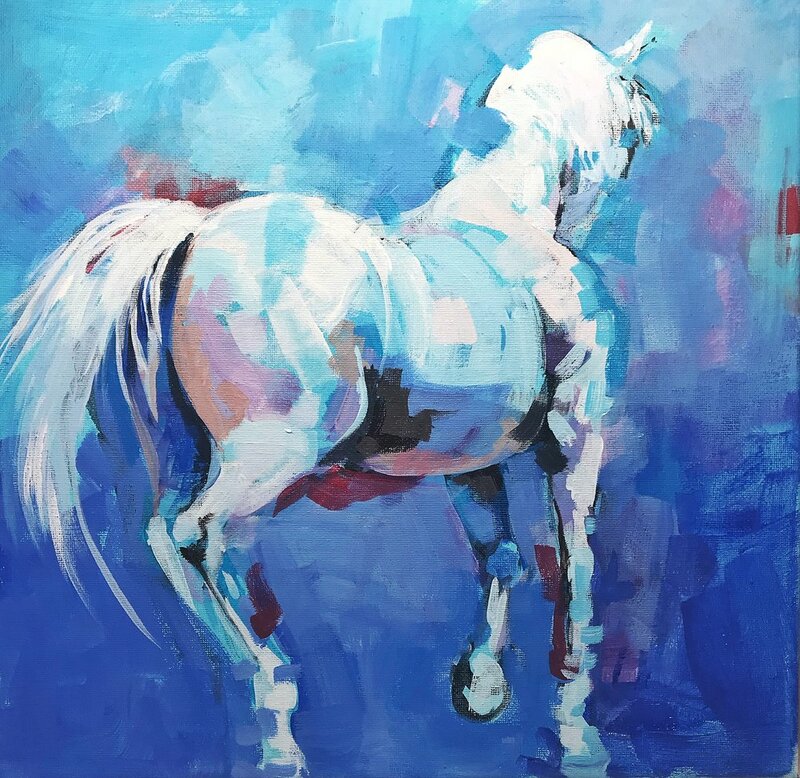 Catherine Twomey sold a 24" x 36" print of da Vinci Horse in Piaffe. 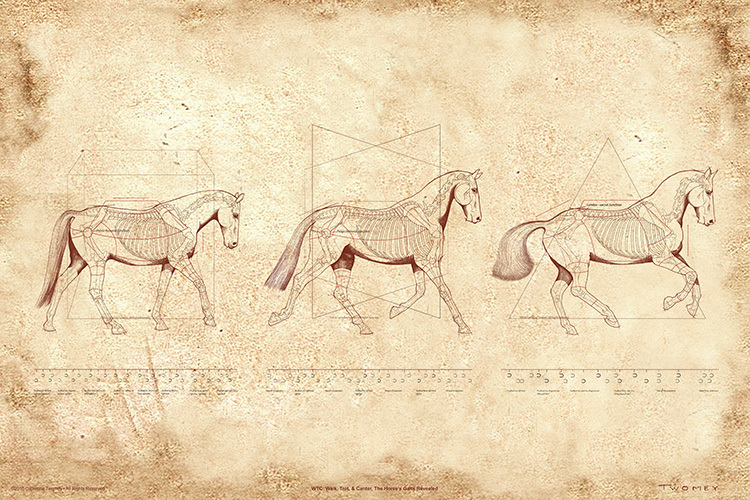 Winning painting/illustration of the American Horse Publications Annual Awards, First Place in Illustration for "Da Vinci Horse", 2007. 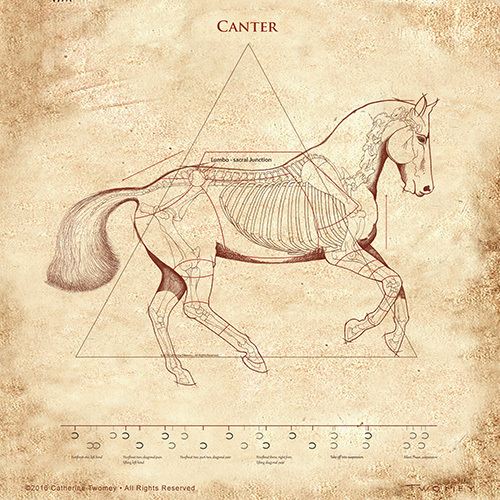 This print shows an anatomically accurate transparent horse and skeleton. 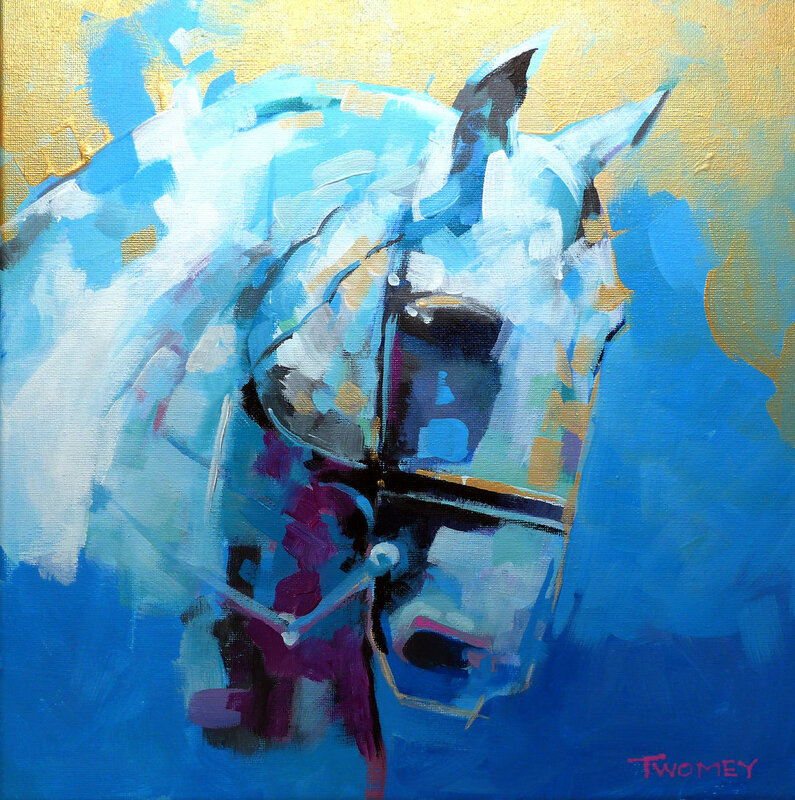 “For The Love of Horses: Lippizan 1” 12X12”, framed in gold wood frame with linen inset. It's that time of year when I can't ride. Aside from the cold and snow, I have to have foot surgery so riding is out of the question. I was one of those kids who loved horses from the moment I could breath. So if I can't ride right now, I'm going to paint them. I've spent a lot of time at Temple Farms in Wadsworth, IL. When Lippizans were almost wiped out in World War II, a herd was moved to the U.S. and this is where they now live, reproduce and perform. The riders are fantastic, the horses breathtaking in their airs-above-the-ground. This is a portrait from a Sunday performance. Original 12X12” acrylic on stretched canvas. For sale, make an offer! This is a lippizan stallion performing at Temple Farms in Wadsworth, Il. It is a work in hand dressage movement training the horse to use it’s hindquarters. Thank you to the collector who recently purchased all three, walk, trot and canter! 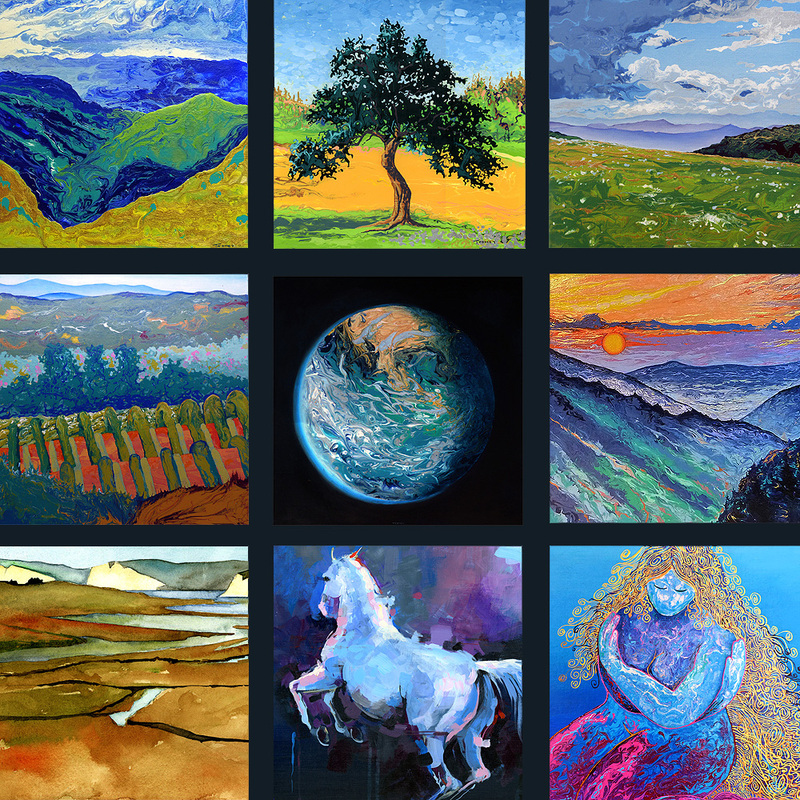 Award Winning Prints by C. Twomey On Sale Now!